SSE Airtricity Moycullen were unlucky not to close out their 2015/16 premier league season with a win on Saturday. After a superb away win over Belfast Star last weekend, the Galway men hoped to secure a final home win over league rivals GCD Swords Thunder. The visitors took the two-point lead going into the second quarter, but American Pro Raheem Lemons was particularly impressive while Moycullen received some good scoring contributions from Patrick Lyons, Joseph Tummon and Dylan Cunningham. Kyle Cunningham and James Loughnane helped Moycullen outscore Swords 24-11 in the second period. Upping the pressure defensively and forcing their Dublin opposition into a handful of turnovers allowed Moycullen to take a nine-point lead by the end of the second. Moycullen remained in control in the third period with Lemons continuing to have the hot-hand, and allowed James Loughnane and Kyle Cunningham to knock down some outside shots to keep in front by 14. 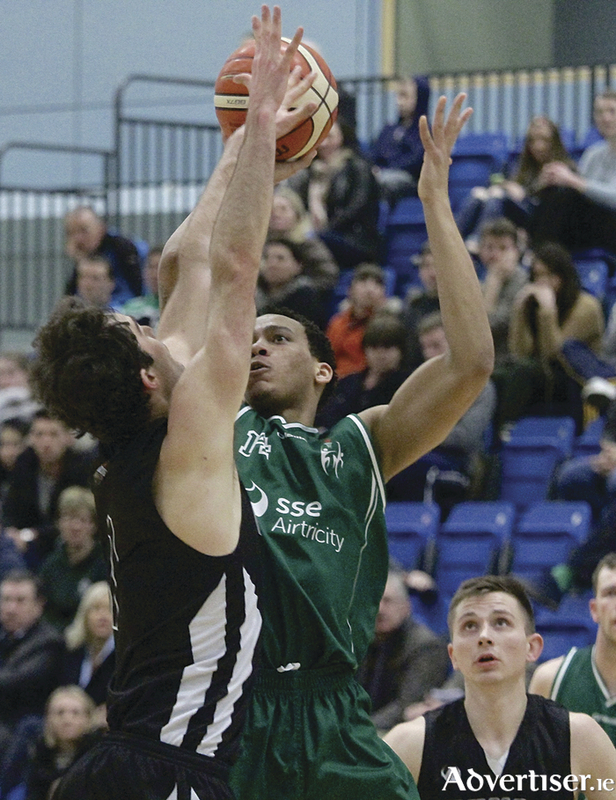 However Swords nailed a trio of threes early in the fourth, while Moycullen began to experience an untimely scoring drought. With the game tied and 11 seconds remaining, Patrick Lyons was unlucky not to see his shot go down, sending the game into overtime. Swords turned two turnovers into two huge scores to silence the Moycullen faithful, and after both sides exchanged free-throws, time simply expired, giving Swords Thunder a seven-point win. However, Moycullen will look back on a successful season, especially since the introduction of Lemons for the last six games. With the core of the team still young, they can look forward to more success in the Premier League. The 18-years-old Kyle Cunningham and 19-years-old Joseph Tummon are the latest to come through the Moycullen underage system and both had outstanding seasons in their rookie campaigns. James Loughanne and Dylan Cunningham had excellent seasons and, as two of the veterans, they will continue to lead by example. Paul Freeman and Ronan O’Sullivan were key to the team’s success as the main inside players, and with Rory Gilson just returning from a season long injury, Patrick Lyons also having a tough season with injuries, and Sean Candon having another season under his belt, the club should be optimistic about their future.